** The New York Times – “Alice” is also a sly trip through Western art history that makes one almost forget the book’s original illustrations by Sir John Tenniel." 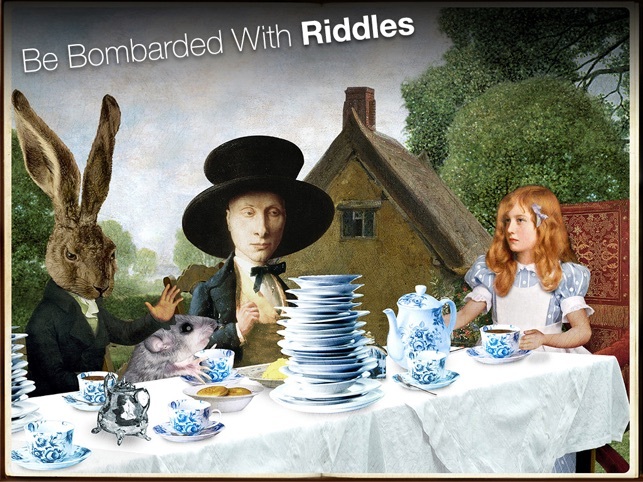 Learn art and encourage literacy in this fun interactive book app based on the classic novel. Explore interactive illustrations, learn and excite about art, and engage with your kids in a fun activity. 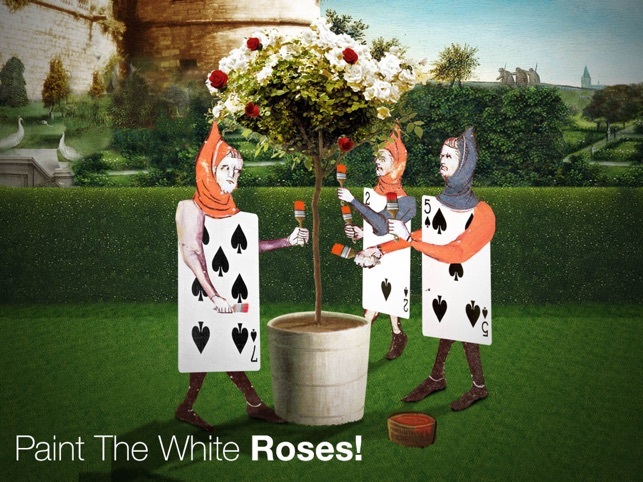 The Alice App delivers a gorgeous interactive journey through the classic fairy tale “Alice’s Adventures in Wonderland.” This is the truly immersive experience that rich tales such as this are perfect for. Stunning visuals, rollicking sound effects, and interactive gems capture the whimsical fantasy fun of Lewis Carroll’s iconic children’s tale. · ENCOURAGE literacy skills by following along with the narration. · LEARN and EDUCATE about art. · INTERACT in the story. Playful, interactive illustrations and games. · NAVIGATE effortlessly to any location. · ENGAGE with your child in a fun activity that can be enjoyed by adults and children alike. · ENJOY the energetic narration and hilarious sound effects. · INSPIRE children to read, create, and engage more. Alice is a book filled with riddles, puzzles, brainteasers, and new surprises on every page! So JUMP IN and become a part of the experience. 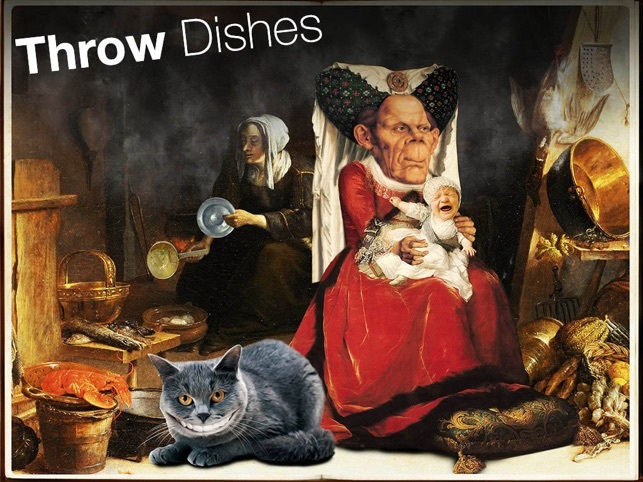 This inspiring merging of children’s literature and classic art was designed for mobile and tablet. Global artist Emmanuel Paletz spent four years crafting beautifully detailed paintings inspired by the Renaissance to tell the tale of Alice’s Adventures. The result is an App that opens the door to the world of Wonderland like nothing ever has before. You’ll dig deeper beyond the words and beyond the pages into the vibrant heart and soul of this timeless classic. All the characters you love are there in their silly splendor and waiting to jump off the page. Jaw-dropping illustrations and finger touch animations bring the story to new life and pull you in to where fantasy lives. It’s the story we all remember, but our interactive landscape will create new warmer and more vibrant memories than ever before! Welcome again and for the first time to the wonderful world of Alice! We’re always listening to your suggestions to improve The Alice App! If you have any issues with the app, just contact us and we will help you! The Alice App™ & © 2014 Emmanuel Paletz Corp, All rights reserved. 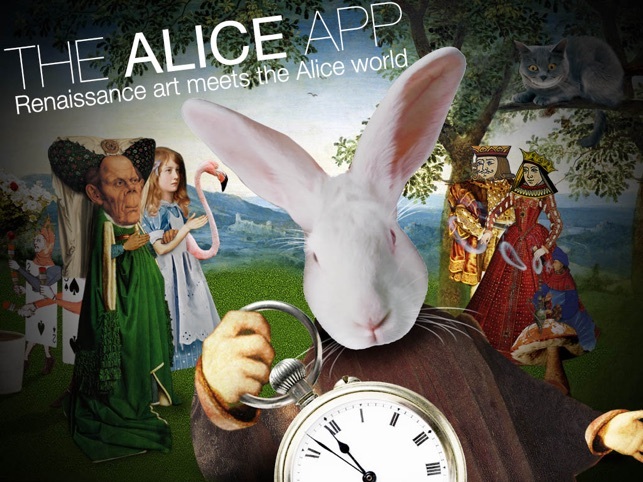 The new alice app is here – and it's all about making your experience better. • Added option to choose on what side of page you want to listen to the narration. • Added support for new iOS versions and 64bit architecture. • The info of the book was moved to the end of the app. My little sister likes this app so much! In this app every scene has something interesting to keep her engaged in the journey. The graphics looks amazing. It is surely a great app. 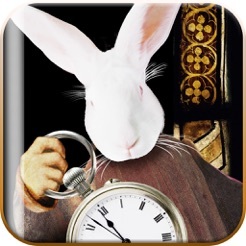 I really enjoy to play this app,it delivers a gorgeous interactive journey through the classic fairy tale “Alice’s Adventures in Wonderland.”I spend more times to run,ilike it. This app is very easy to use. Love finger touch animations of the Story. Worth to download & 5 stars! © 2014 Emmanuel Paletz Corp.